Directly telling the computer what to do via a series of instru­ctins. Proc­edu­ral and obje­ct-­ori­ented progra­mming are both subsets of imperative progra­mming. This is where the programmer can "­d­ecl­are­" what the solution should look like, and the language will obtain the results without the programmer explicitly telling it how. A common example of this is SQL. This is where a program is given a sequence of instru­ctions - a proc­edure - to solve a problem or perform a task.  For example, C and Pascal are both procedural languages. This is a language that uses func­tions to obtain and calculate values. For instance, doub­le(4) would return the value 8. Examples of this are C++ or Pyth­on. Low level code involves working very closely with the physical inner-­wor­kings of the computer, for example directly pushing to regi­sters and the accu­mul­ator. 1. Difficult for progra­mmers to use since even simple tasks require a lot of code. 2. Used to develop perfor­man­ce-­int­ensive programs or tasks. The old system is taken away and the new system is implem­ented completely overnight. This is risky, since if the new program has errors it could be catast­rophic. The old system is run alongside the new system for a while. This involves duplic­ating all the work done on both systems, but if there are errors in the new system then things are not as catast­rophic. The new system can be tested out by one branch of the company at a time so that if anything fails, the entire company is not in trouble. Part of the new system is used, then once all the problems have been worked out then another part can be used. This would include technical details for use by a progra­mmer. For example it might involve data flow diagra­ms, flow­cha­rts, variable lists or data dictio­nar­ies. This is written for use by the end user. This might involve instru­ctions for starting and installing the program, clerical proced­ures, how to use the program, or fixes for common errors. Object­-Or­iented languages are languages which deal with "­obj­ect­s". Objects usually have a set of attributes and methods which are specific to that type. Objects are usually instances of Clas­ses. A class is a "­tem­pla­te" for an object to be generated from. This would outline the member variab­les(or attr­ibu­tes) and methods for use later in the program. A class can inherit from another class. This is commonly used for creating a very broad defini­tio­n(e.g, Animal) and then extending it for more specific functi­ona­lit­y(e.g Dog). A class which inherits from another class will have all the attributes and methods of the class it inherits from. High level languages are languages which create a great deal of abstra­ction between the programmer and the CPU itself. Examples of this are C, Java and Pyth­on. State the aims and obje­cti­ves for the program. Determine whether the project is econom­ica­lly­/te­chn­ically viable. This might involve lega­lity, time expense, monetary expense or tech­nol­ogical comple­xity. Carry out ques­tio­nna­ires, inte­rvi­ews, obse­rva­tions and study existing docume­nts to determine some of the requir­ements for the program. Create a detailed design for the new system, involving database modell­ing, screen designs and map out what proc­esses will need to be carries out on the data. The program is actually created. Alongside this, the program will be tested via either alpha, beta or acce­pta­nce testing. Alpha testing is performed by people employed by the company who have not worked on the project. Beta testing involves giving the program to people outside the company for testing. Acce­ptance testing involves giving the program to the client for feedback. Changing from the old system to the new system. There are many different approaches to this, such as parallel running, phased change­over, etc. The system is maintained via either adap­tive, corr­ect­ive or perf­ect­ive mainte­nance. These are languages which can wait for an event to occur, such as a key press. When an event occurs it is handled by an event handler. These are a set of instru­ctions to denote how an item should look, or how data is to be organized. Examples of this include HTML and XML. Poly­mor­phism is when a single operat­or(for example, +) has multiple meanings depending on data type. + could mean either integer addition or string contat­ena­tion, based on the context its used. Enca­psu­lat­ion involves the usage of "­g­ett­ers­" and "­s­ett­ers­" in order to prevent things from changing without conseq­uences. For example, if the weight of a plane was updated, the fuel per hour would also need to be updated. This would be calculated and set approp­riately via a sett­er. BNF is a standard for writing the rules of syntax in a language. This involves improving the system to run faster or perform better for its intended objective. If there are changes in the company structure, requir­ements, etc then the system may need to be adap­ted to fit the new specif­ica­tion. This involves correcting problems or bugs in the program that were not noticed or fixed during testing. The Agile Approach is designed to be a more flexible altern­ative to the Wate­rfall Approa­ch. Agile involves working closely with the client. Unfort­una­tely, Agile usually yields less detailed docume­nta­tion and less specific deadli­nes than the Waterfall Approach. There are two well known implem­ent­ations of the Agile Approach. This emphasizes four areas of the Agile approach which are comm­uni­cat­ion, simp­lic­ity, feed­back and cour­age. The developers are frequently given opport­unities for regular feedback from other developers and the client. Also, they often program in pairs known as pair progra­mmi­ng. Scrum focuses on regular iterations to create prototypes quickly. Scrum usually involves having iterations called "­s­pri­nts­", where at the end of each sprint the team will reconvene and update each other on the progress that has been made. Cheatography is a collection of 3207 cheat sheets and quick references in 25 languages for everything from google to science!